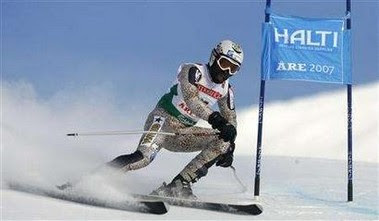 Ghanaian olympic skier Kwame Nkrumah-Acheampong "The Other Snow Leopard" has overcome some incredible odds just to make it to the 2010 Vancouver Winter Games. Don't assume Kwame is the "Eddie the Eagle" of 2010 ... the man can ski. Granted, the odds aren't in his favor but we're pulling for you Kwame. I'm cheering him, its such a good story. It might even be better than cool runnings.